Wixom, MI — Trijicon, Inc., global provider of innovative aiming solutions for the hunting, shooting, military and law enforcement markets, has joined forces with the National Rifle Association and leading industry manufacturers to create a championship format that will be the ultimate test of competitive shooting ability. Trijicon’s World Shooting Championship will assemble competitors from around the world, including existing and previous champion shooters from virtually every organized shooting sport, and crown one competitor, “The Undisputed World Shooting Champion”, a distinction that is unmatched in history! The 1st Annual Trijicon World Shooting Championship will be held at the Peacemaker National Training Center in Glengary, W.V., on September 10-13, 2014. The Champion will receive $50,000.00 first place cash prize. Cash prizes for individual stages will also be awarded. In addition, event prize table items are valued at over $200,000. All shooters will compete over the course of four days in twelve equally-weighted, nationally recognized disciplines from various shooting sports. All firearms and ammunition will be provided for each event, thus shooters will compete with common firearms and ammunition. Specialized equipment selected for each discipline will be provided for all competitors, alleviating the need for participants to secure new equipment for unfamiliar events and reduce or eliminate potential issues with international and domestic travel for all competitors. The NRA’s Competitive Shooting Division will manage and score the match with the assistance of the Peacemaker National Training Center match staff. For competition registration information and event details, click here: Trijicon World Shooting Championship. To learn more about the complete array of Brilliant Aiming Solutions™ for the hunting, shooting, military and law enforcement markets, contact Trijicon, Inc. ® at (248) 960-7700 or visit www.trijicon.com. Heck of a shot using the Republic Forge Commander 9mm! Days on the water can get really long when the temperature and humidity are high. That’s why thinking anglers regulate their internal thermostats with Under Armour’s revolutionary ISO CHILL technology. 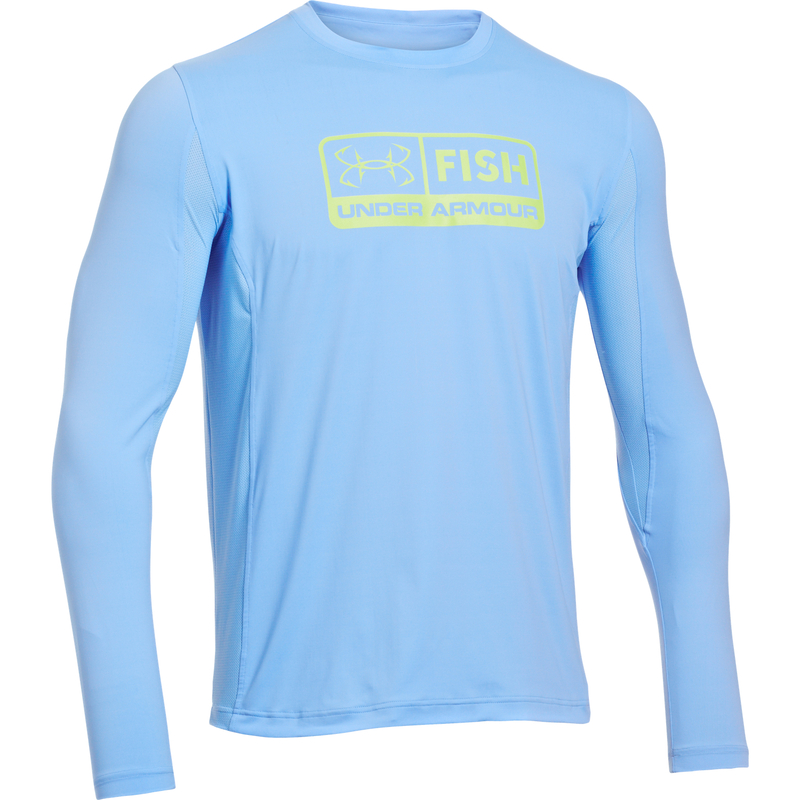 These shirts deliver sun protection, moisture-wicking comfort, strategic ventilation, quick-dry anti-microbial fabrics and stain resistance—with their Nylon-ISO Chill fabric blends that feels naturally cool against the skin. A technology born for fishermen, these innovative shirts purposefully fit loose so air can move easily around your upper body and offer a full range of motion when letting your hook fly. High performance, easy care and a cooling feel let you enjoy your time on the water while focusing your energies on the big catch! For more information on Under Armour’s new ISO CHILL collection, and their complete selection of performance apparel, footwear, and accessories, visit Under Armour Fishing or contact Eddie Stevenson at eddie@driftwoodmediacom.com. Baltimore, MD – (June 27, 2014) Battle tested by the relentless pursuit of North America’s biggest game, season two of Under Armour Presents Ridge Reaper promises to live up to its groundbreaking, top-rated first season on Outdoor Channel. The intense original television series that chronicles the Under Armour Hunt Team though extreme conditions premieres on the leading outdoor lifestyle cable network this Monday, June 30 at 9 p.m. EST. Under Armour Presents Ridge Reaper on Outdoor Channel brings audiences a fresh new perspective on the pursuit of trophy big game. Filmed as a first person documentary, Jason Carter and the experienced Under Armour Hunt Team, comprised of Kip Fulks, Bryan Offutt, and Koby Fulks, probe North America’s great unknown from the Rocky Mountains to the desert terrain of the western United States. Detailing their real-life survival knowledge and best hunting practices, these four Ridge Reapers tackle natures greatest obstacles, testing out some of hunting’s most innovation footwear, apparel and equipment, taking the audience on an intense ride.